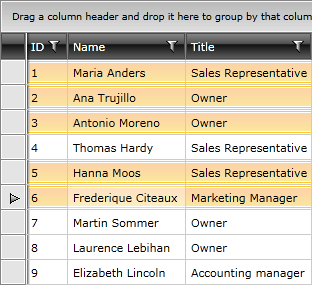 RadGridView allows users to select more than one item from the displayed data. By default only a single row/cell can be selected at a time but you can set the SelectionMode property to either Multiple or Extended to enable multiple selection. The Multiple value of the SelectionMode enumeration allows the user to add an item to the selection just by clicking on it. It will be removed when it gets clicked again. 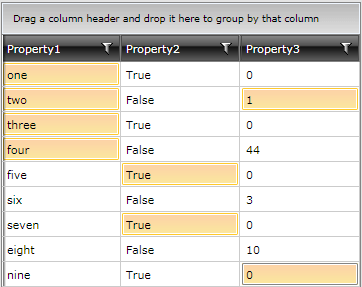 When multiple items are selected the SelectedItem property has the value of the first selected one.